The Petronella hospital was called Bethesda hospital after World War II. This hospital at Yogyakarta was founded by the Gereformeerde Zending in 1897. The hospital celebrated its 90th anniversary on 20 May 1989. In 2010 the hospital existed still under the name Rumah Sakit Bethesda, established on the Jalan Jenderal Sudiman no. 70 at Yogyakarta. In 1925 its capacity was 380 beds with 45 beds for children. Zie dissertatie kinderarts? The Bethesda (Petronella) hospital was the oldest and largest hospitalof the Gereformeerde Zending,which had its mission field in the southern part of Central Jawa and on Sumba. In 1897 south of the city of Yogyakarta on the terrains of Bintaran the hospital was opened. It was made of simple bamboo material. Jan Gerrit Scheurer, the pioneer of the medical mission work laid the cornerstone for this work. As soon as the hospital became too small to exercise her functions, the Sultan Hamengko Buwono VII made available an ample terrain to build a new hospital. The new hospital was situated in the quarter Gondokusuman, which previously had been used for sugar cultivation by the sugar company Mudja Mudju. This company cooperated to get the new hospital established on its ground. In 1901 the new hospital opened with a capacity for 150 patients. 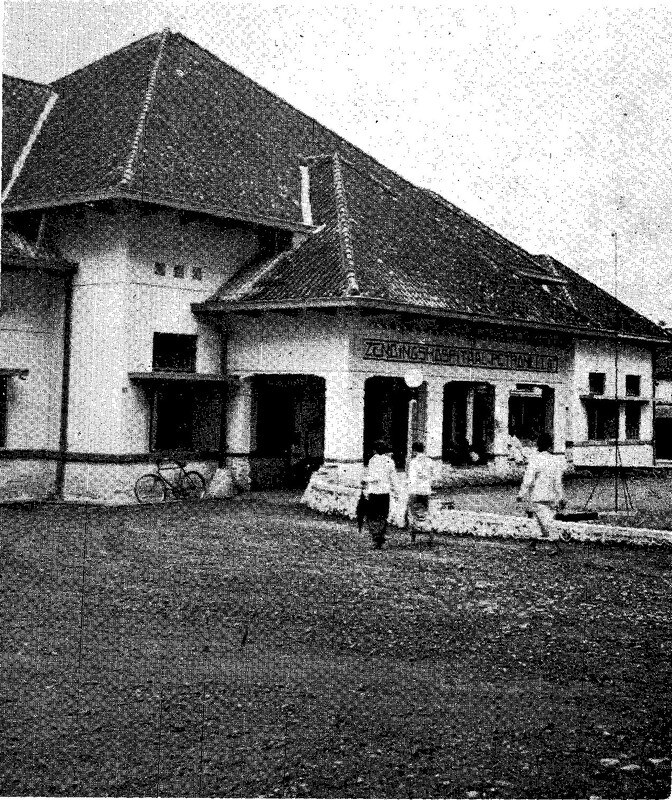 The construction of the Petronella hospital at Yogyakarta during the years 1899-1900 had been financed by a donation of f 15,000 and by efforts of the Association Dokter Scheurer Hospital and was facilitated by the gift of his terrain by the sultan. Under influence of the so-called Ethical Politics the Minister of Colonies granted free medicine and a contribution of f 3,000 for running costs in 1901.The following year an amount of f 6,000 was granted on condition of employment of a second medical doctor. The hospital at that moment had 100 beds and had asked for a contribution of f 1 per bed per indigenous hospital. Nowadays (2018) the hospital is called Rumah Sakit Umum Bethesdaand is established on the JalanJend. Sudirman no.70 at Yogyakarta. Its registration with the Ministery of Health is no. 3471063 and the hospital is classified in category B. It had 384 beds (160 VIP, 55, 1st class, 78 2nd class, 91 third class). 114 doctors are admitted in the hospital and 24 nurses are working here. The hospital treated lately 184,456 outpatient clients end admitted 35,432 inpatients. They had together 33,648 inpatient days with an average length of stay of 5.14 days. The occupancy rate was 70.6 %.